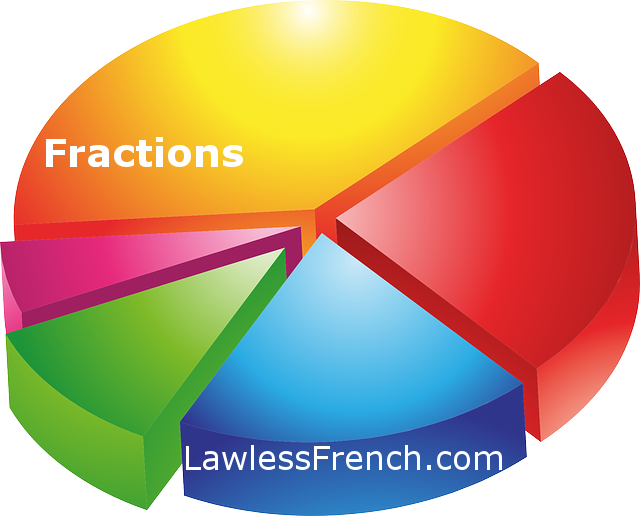 In both French and English, there’s a lot of overlap between fractions and ordinals: the vast majority of these two types of numbers share the same word. In English, they are identical from "third" on up, while in French they’re the same starting with cinquième. Of course, those corrections are also required in un dix-neuvième, un vingt-cinquième, etc. Demi can be feminine when used as a noun or when it follows a noun. J’ai acheté une bouteille et lui, une demie. I bought a bottle and he bought a half (bottle). But when demi precedes a noun, it always stays in the masculine form. All other French fractions are always masculine and must be preceded by a number. And if they’re followed by a noun, the preposition de is needed as a go-between. 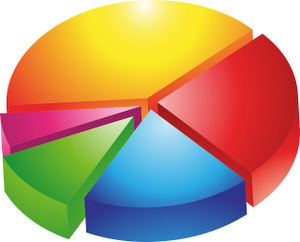 Fractions and ordinal numbers are abbreviated differently. The fraction un cinquième can only be abbreviated 1/5, whereas the ordinal cinquième is shortened to 5e. How would you say 2/21 ? Deux vingt et unième or unièmes? How funny! The fraction/ordinal overlap never occurred to me before, let alone that the overlap starts in a different place in each language. But once I got thinking of that I realized there’s another overlap situation like that, namely musical intervals. In English, we talk about a second, third, forth, fifth, sixth, seventh, etc., as the distance between two notes (the main exception being to say octave instead of eighth). In French, nothing matches until septième, then octave just like in English, then normal again (neuvième, etc.). But French has a bunch of other words for the smaller musical intervals: ton mineur/majeur, tierce, quarte, quinte, sixte. Oh, and just to keep things exciting: it’s UN intervalle, but UNE tierce, quarte, quinte, septième, octave, neuvième, etc., much like it’s UNE note, but UN do, re, me, fa, sol, la, si, etc.